The pocket watch movement Unitas 6497 is a reliable workhorse. 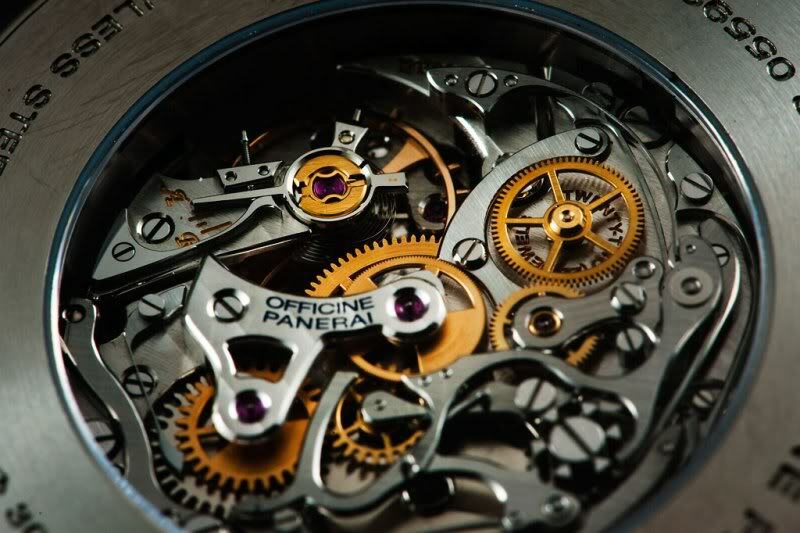 It’s being used in numerous watches… not only pocket watches! It actually got the most fame because it was used by Panerai. Since Panerai gained name and fame among watch collectors, so did the movement Panerai used in most of their watches of that time, Unitas caliber 6497. The last few years there are numerous brands using this reliable movement. 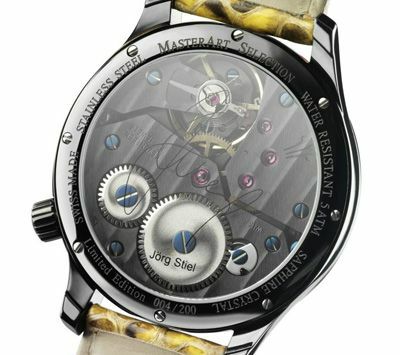 I had the idea manually wound movement where mostly used by high-end brands in very exclusive watches. 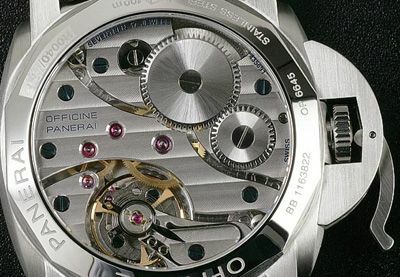 Most mid range brands offering watches of a few hundred euro up to a around 1,500 – 2,000 euro used automatic movement for their mechanical watches. Today it’s hard to ignore the presence of manually wound watches in this price range. 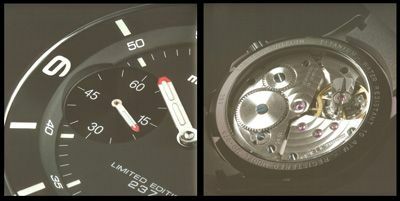 The above caliber OP XI has been heavily modified by Panerai. With new bridges and a swan neck regulator for fine adjustment this variant of the Unitas 6497 belongs to the very best available. Other brands also made some modifications on the base movement, but today there are also many watches offered with the basic version of the Unitas 6497. Or shall we say ETA 6497, because ETA now produces these movements. MOMO Design is one of the brands using this movement. I think the made a quite nice watch with this Pilot Titanium Mechanic. Black, fashionably large… yep, it’s got the ingredients that seem to ‘do it’. Another one is made by Cimier, the Cimier Petite Seconde Venom (above). 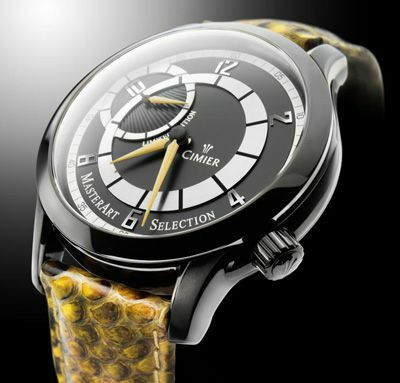 Of all Cimier watches I have ever seen, this is by far the best looking. The Cimier Petite Seconde Venom is made in collaboration with legendary Swiss goalkeeper Jörg Stiel, at least he signed the crystal in the case back. This beauty is limited to only 200 pieces and costs around 1,500 euro. The bridges of the movement where PVD coated to give it a black finish, which really looks nice i think. Like the above there are many, many more watches using the ETA/Unitas 6497. Not only fashionable and stylish watches like both above, but also pilot style watches and sports watches use the reliable movement. However why do all of a sudden so many brands use this movement that’s been around for decades? I really believe that if it wasn’t for Panerai we would not have seen so many watches with this large manually wound movement. 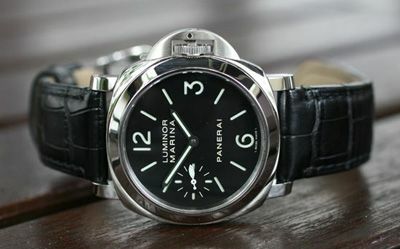 And looking at this Panerai, i actually really regret that i sold my old Panerai PAM 1. 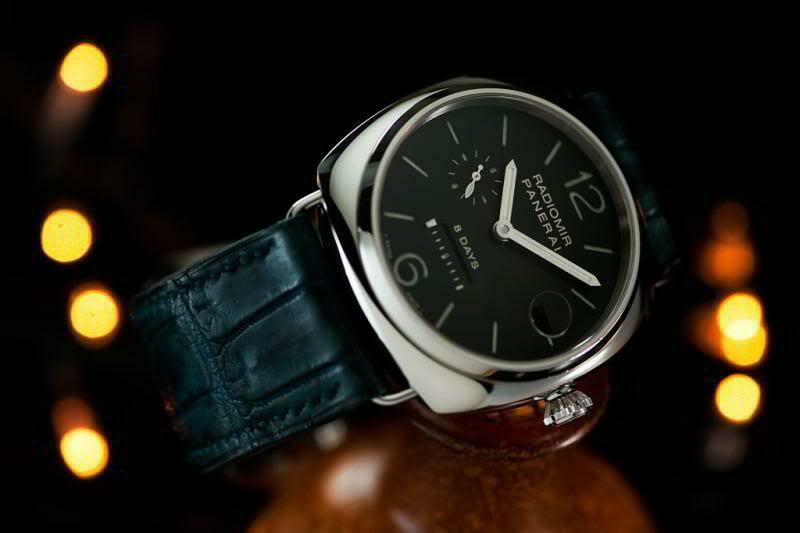 Now i see this new Panerai PAM111 i really want one. So it’s time to start saving again… it’s such a beauty. 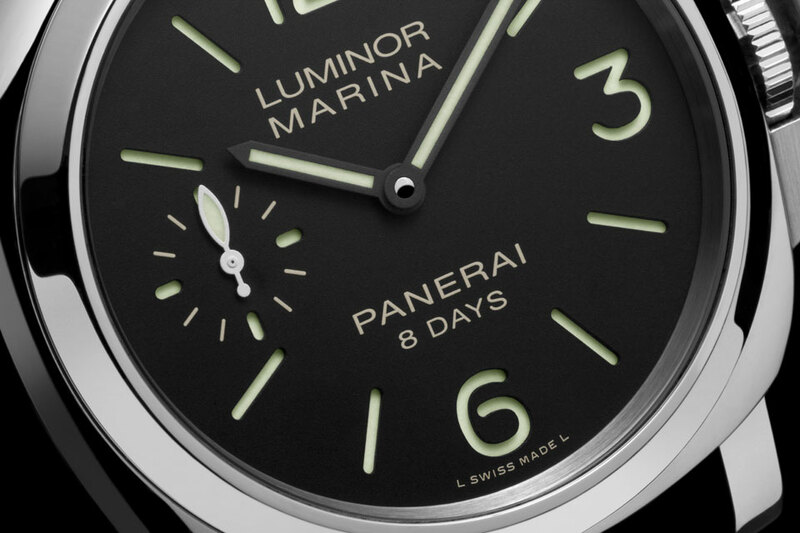 I agree, I too think that Panerai helped put the 6497 back on the map so to speak and manual movements in general. The demand for manual has greatly increased IMO. Prior to Panerai’s success with the Zero, 05, 111, & 112 manual seemed to be more much more common in the “elite” watch market. It would be nice to have a Zero one day, simplicity is bliss! The movement looks great, and I have a few pocket watches (including one from 1888) as I am a movement person – often prefering the view from the back (case) to the view on the front ! 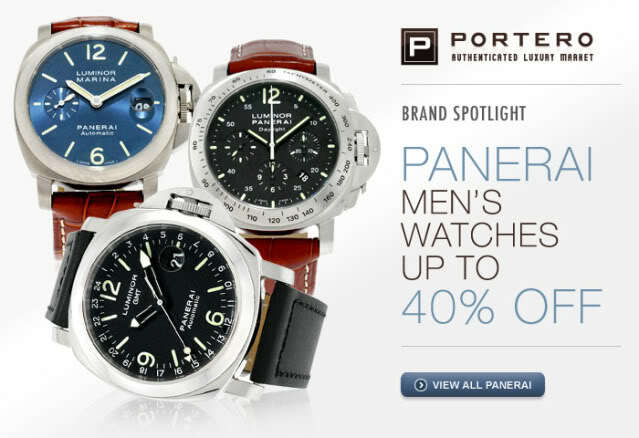 However, I just do not get people’s love for Panerai. So much money for a big, bland, boxy watch. Obviously I’m missing something ! What you describe was my first thought as well… However after wearing one i really appreciated the brand much more and i still do. It’s so much more than just a watch with a Unitas movement. The quality is absolutely great and the design is unique, so it all comes down to whether you like it or not. PLEASE: To use this movement as a replacement what is ths diameter and height? Also can this movement be used on a watch with the seconds subdial at 6? @Ben… the ETA/Unitas 6497 has a straight line between the crown and the seconds sub-dial. If you prefer the crown at 3 and a seconds sub-dial at six, than the ETA/Unitas 6498 could be an option. The diameter is 16.5 ligne (or 36.6 mm) and it’s 4.5 mm thick. The measurements of both ETA 6497 and ETA 6498 are the same. 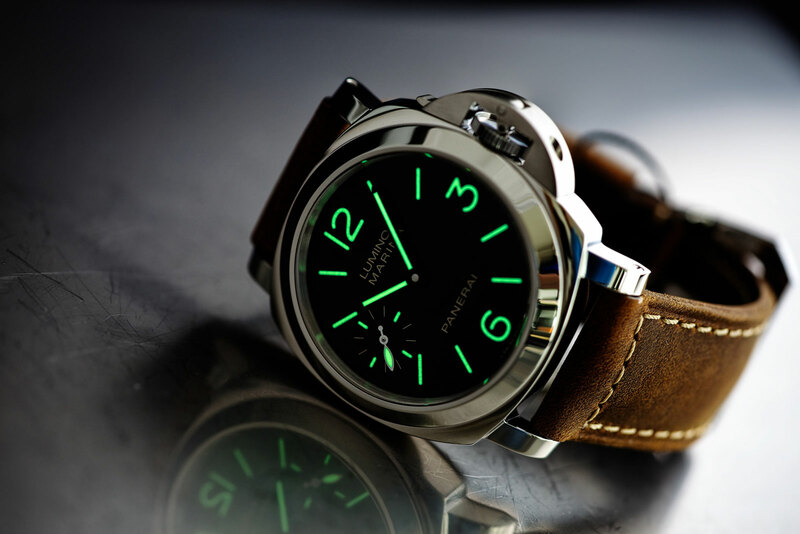 Panerai watch appeal is rugged simplicity, legibility and its unusual crown lock. I have a PAM 111 and couldn’t be happier. Compliments are never ending. This watch lures one in to asking “what kind of watch is that.” This was a great article as I never knew that the PAM 1X movement was born from the ETA movement family. I’m glad to know that because I think ETA make great movements. Work horse reliable is a good word. If someone could reply back and let me know in their or your opinion which do you think is a better movement. The PAM 111 or the 3000 manual used in the 1950 three day manual 47mm. Thanks for your time. Bill Rowe. The Unitas calibers are indeed very reliable and nicely finished as well. However the new in-house developed and produced calibers are more exclusive and also out-perform the Unitas calibers, with a much longer power reserve, a nicer design, excellent finish and more rugged construction. Have you looked at the Refined harware’s Harbinger that has a Japanese 6497 in it? Just curious what’s your thoughts around it. I didn’t know about any Japanese 6497. Are you sure these are existing and legitimate movements? I have a 2002 Panerai luminor marina, titanium with tobacco dial. The movement is a manual wind eta /Unitas 6497/1. The only visible difference is the lack of the Swan neck regulator. I cannot find this movement being used in any Panerai watch outside of the Militaire. Can anyone advise me on this. I have owned this watch since 2005 having bought through an auction.